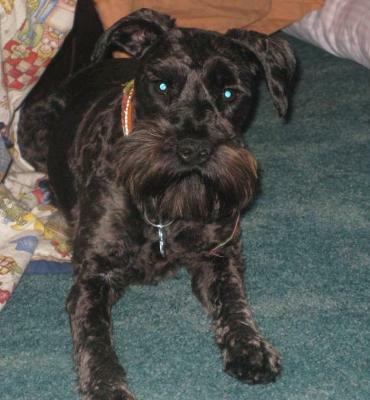 Well Wylie Jai came to live with me on Feb 8, 2009, He was 8 weeks old, He came from my aunt and uncle who raise miniature schnauzers. 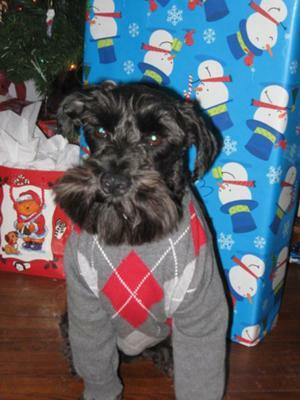 He is a black Miniature Schnauzer. He is such a lovable and happy boy, he loves to be outside and he loves to play with his Best Friend Buddy a Golden Retriever. He also loves to go out to my aunt and uncles house and play with his mom and the other dogs. He sleeps right by me at night and he has his own blanket, His favorite toy is a stuff Tigger. He goes every where with me. He is the best thing that has come into my life. I love him so much. He also has an attitude like a kid, if he does not want to do it he wont. He loves little kids he plays with them and they just love him to death my 2 year old is his best human little friend. Eli walks with Wylie all over the place.. It is very cute. All in all he is a mammas boy, if im around he will not go by anyone but me. He is a lover!!!! The best freind a person could have. We love your master very much as she has helped Beverly through some very tough times. Beverly's face just lights up when your master comes to see Beverly. You are a bueatiful dog with your master loving you more than most people love their children. Just continue to keep your master happy as you always have. If you don't I just may have to have my friend Suzy put you in your place. Take care of Katie your dear friend and master as she is the best you are every going to have. Thats my boy little stud!!!! 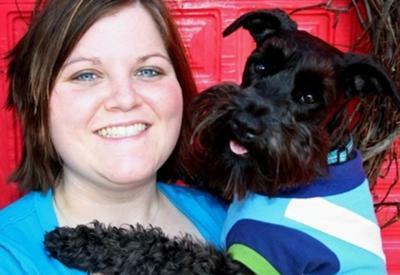 Return to 2011 Schnauzer Dog Contest .